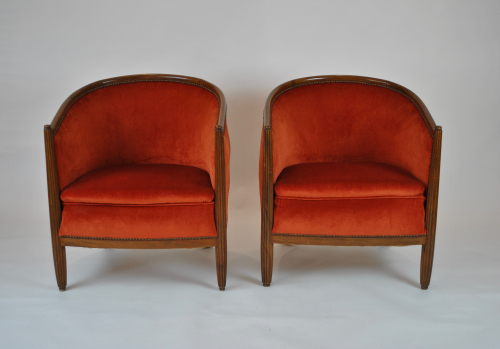 Pair of Art deco period French armchairs. Wood frame with reeded arms. Burnt orange velvet. This was already on the chairs but is in good condition so could be retained. Seat measures 54 cm x 54 cm.